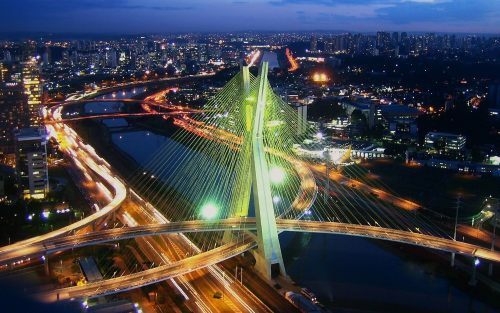 LATAM and American Airlines have dropped the price of their flights from Toronto to Sao Paulo, Brazil down to $561 CAD roundtrip including taxes. The flights have 1 stop each way, in New York City or Miami for 2-3 hours. 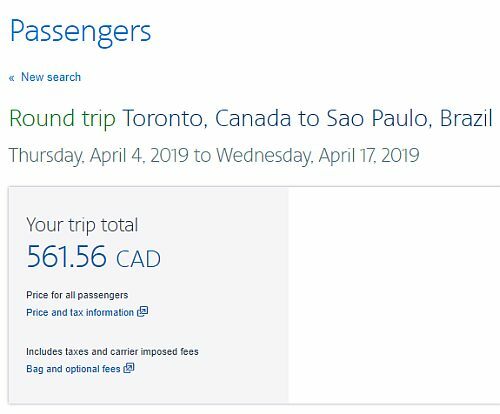 Update 1/17 - United Airlines has now dropped the price of their flights from Toronto to Sao Paulo and Rio de Janeiro, Brazil down to between $491 and $513 CAD roundtrip. - Look for the dates that are $562 roundtrip. toronto, yyz, flight deals, american airlines, south america, brazil, sao paulo, gru and latam airlines.